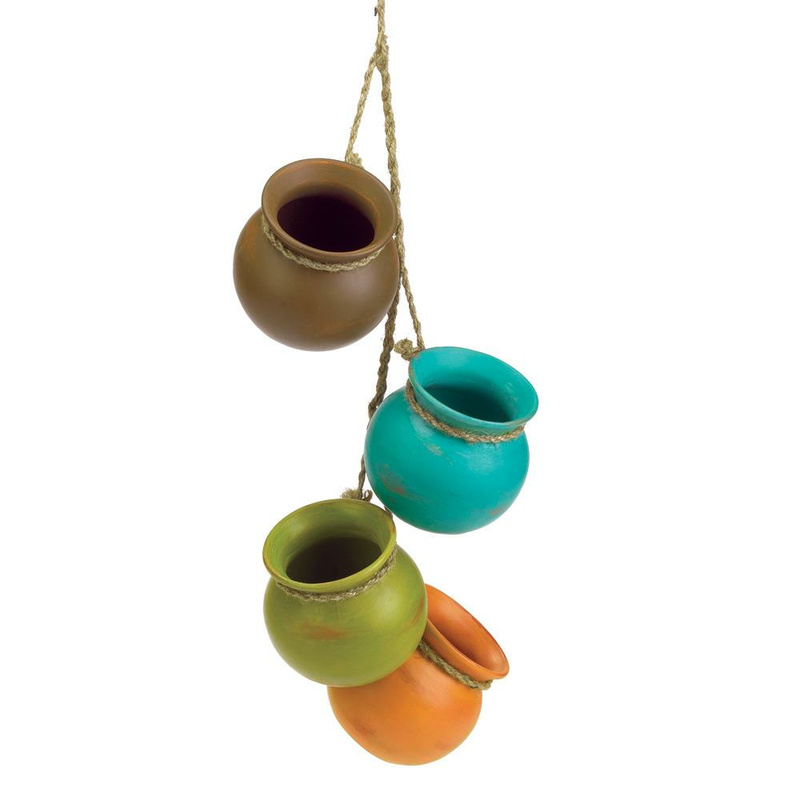 Straight from the kitchen of a Santa Fe gourmet, this darling decoration recalls the fabled cooking pots treasured for generations in the Southwest. 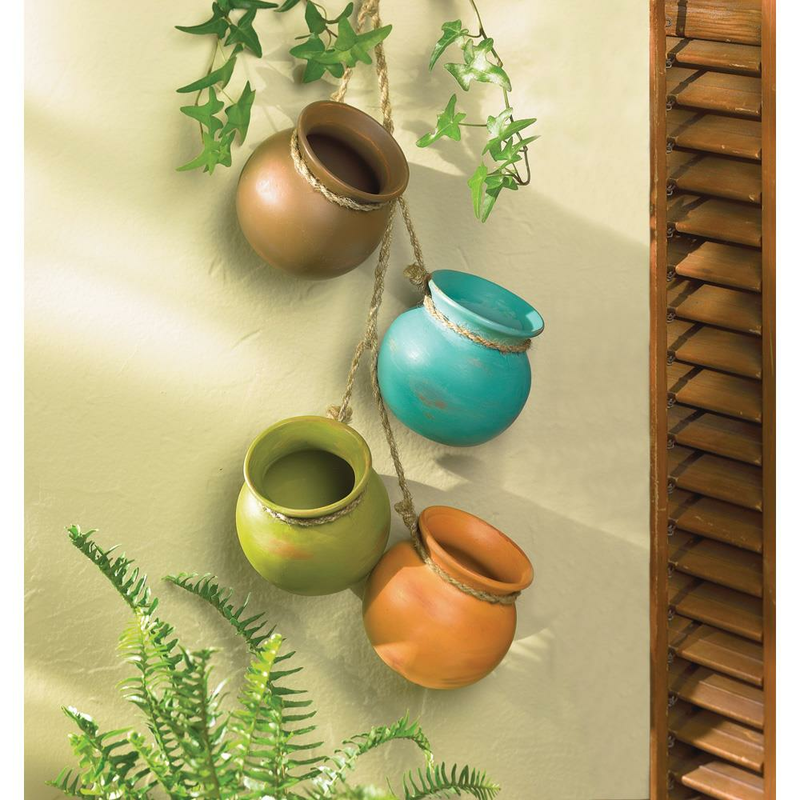 Four graceful earth-tone vessels with jute hanging loop are ready to brighten any corner! Weight	1.9 pounds. 3.75" x 3.75" x 23". Terra Cotta, Jute. UPC Number: 849179012137.